We can also provide utensils and a variety of condiments and other break room supplies. We specialize in putting the "service" back into office coffee. Florida Fresh Markets provides traditional brewing systems with glass pots or air-pots and features the best coffee lines for our traditional brewing systems. Each brewer comes equipped with a hot water tap for tea and other hot beverage products. 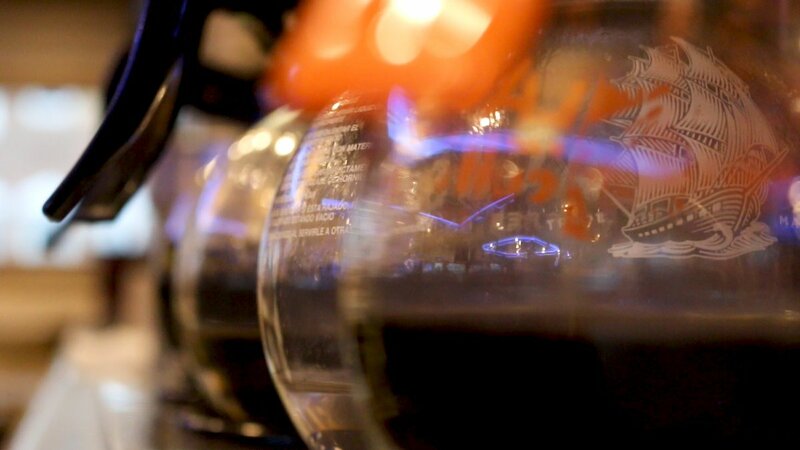 Insulated air-pot systems allow for keeping coffee fresh and hot and minimizing waste. Brew fresh coffee one cup at a time - fast and ready to drink at the touch of a button! 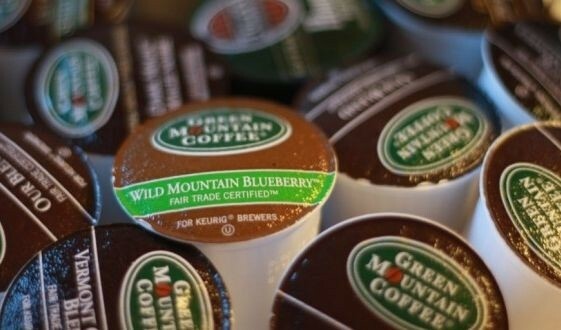 Our capsule flavors range from Starbucks and McCafe' to Green Mountain, Café Bustelo, and Twinings of London Teas. Who doesn't like a fresh cup of coffee every time! This brewer is your personal barista for specialty coffee drinks in the workplace. You have the choice to enjoy delicious freshly brewed coffee in 3 different flavor profiles, as well as Latte's, Cappuccino's, Mochaccino's, Espresso, Hot Chocolate, Café Mocha, Hot Tea and more from individual single serve pods. This brewer's unique and simple brewing process delivers coffee house quality drinks with the press of a button in less than a minute and is the perfect machine for high volume settings. Individual single portions of coffee (PODS) provide the most aromatic and enjoyable taste. With a pod the fresh roasted coffee is enclosed in filter paper rather than plastic, all the wonderful aromatics and extracted coffee solids are allowed to pass to your cup and brew one perfect up. The pods automatically eject into a drawer to assure the brewer is ready for the next use. We offer the Wolfgang Puck and Reunion Island lines for our pod brewers. Here are a few of the most popular flavors: Original Roast Coffee, Sumatra Ketembe Dark, Espresso, Columbia Las Hermosa, Rainforest French Vanilla, Rainforest Chocolate Buttercrunch, Decaffeinated. Teas include Pomegranate Blueberry, Chai, and Panfried Green! 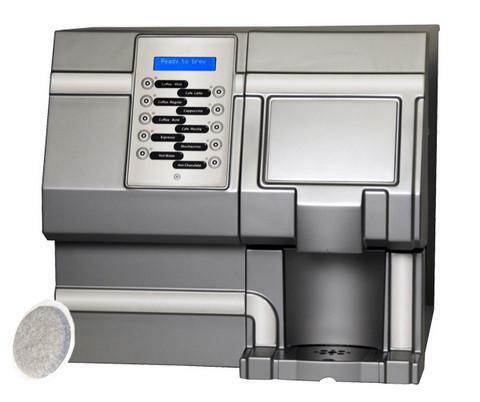 For bean to cup brewing solutions we are happy to provide The Serenade Brewer™. It freshly grinds the coffee beans every time and has a beautiful and engaging 17" touch display beverage selection process. And it brews delicious Starbucks coffees, Iced Teas, and hot chocolate. Florida Fresh is proud to provide other bean to cup solutions including the full line of Cafections specialty brewers. From the Avalon coffee machine to the latest, high technology Encore series, you will find what you are looking for in this product line. 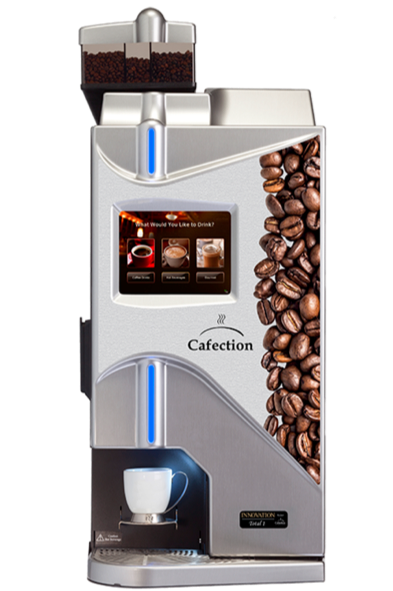 Whether you need ground coffee machines or bean to cup solutions, Cafections is perfect for you. Folgers Concentrated Liquid coffee is pure coffee made from the finest beans that are carefully roasted, ground, brewed, packaged and flash frozen to lock in flavor and aroma. This proprietary process ensures that every single cup is dispensed to the user at optimum freshness at the push of a button. The coffee is dispensed at demand with no leftover coffee to discard. 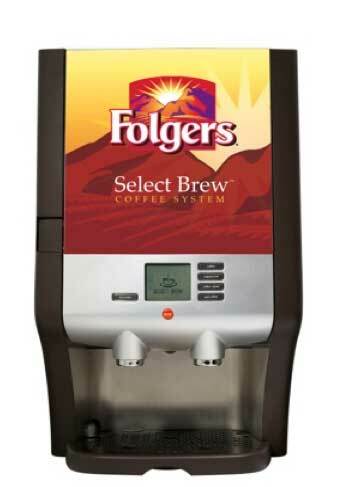 And, a single carton of Folgers Liquid Concentrate coffee equals 50 pots of traditional filter brewed coffee.